Coventry United 3 Highgate United 5, 17/10/2017. Butts Park Arena, Birmingham Senior Cup. 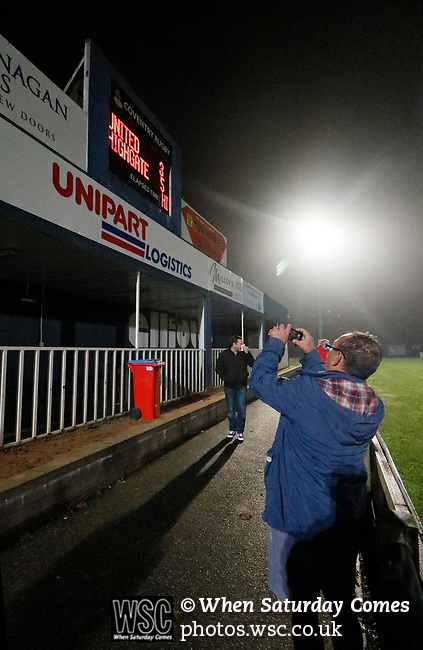 A spectator photographs the scoreboard, showing the final score Coventry United 3 Highgate United 5. Photo by Paul Thompson.